PLEASE NOTE: There will be no support act for this show – so timings are 7.30pm doors and 8.30pm for Poppy’s set. The venue has unreserved seating and the show is sold out, so please arrive early for the best seats. We’re delighted to be working with Poppy Ackroyd for the first time! 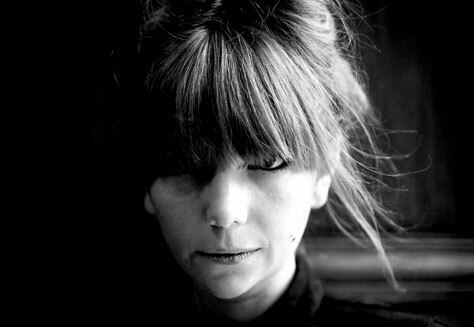 Breath-taking post-classical artist Poppy Ackroyd released her first full-length album with One Little Indian Records, Resolve, earlier this year. A classically trained pianist, violinist, producer, and composer, Ackroyd turned heads in the neo-classical world with her previous works Escapement and Feathers, as well as her involvement in Hidden Orchestra (Tru Thoughts). Having played alongside giants of the genre, Hauschka and Nils Frahm, the unique musician has returned, newly signed to Bjork’s label One Little Indian Records, fresh off the back of a mini-album Sketches, and set to release her brand new self-produced full-length record – her most ambitious and progressive piece of work to date. Trains, the lead single from the album, simulates the sounds, movement, speed and changing scenery of a train journey. The track’s accompanying time-lapse video (which is yet to be revealed to the public) has won 12 awards, including the Gold Movie Awards and South London Shorts. In contrast to her previous albums, for which the artist manipulated field recordings, Ackroyd has this time employed guest players on the record, in conjunction with her trademark and unique use of unconventional studio methods. Ackroyd creates percussive textures from traditional classical instruments, and the result is almost the emulation of an entire orchestra, using very few instruments combined with the artist’s incredible production skills. On opening track Paper, the musician creatively recorded and manipulated experimental beats, born from using paper over piano strings. The principal melody on Stems was created using a combination of pianino (a very small toy piano) and wine glasses. The piece soundtracked a BAFTA-winning short animation by Ainslie Henderson. This show takes place at the International Anthony Burgess Foundation, a charity that encourages and supports public and scholarly interest in all aspects of the life and work of Anthony Burgess, the late novelist (best known for A Clockwork Orange), poet, playwright, composer, linguist, translator and critic. The foundation, situated just off Oxford Road, features a fully licensed cafe-bar and an engine room, which will host this concert. This show is 14+. Under 16s must be accompanied by an adult.